Coming exclusively to Oculus, Crytek's The Climb wants you to experience the adrenaline rush of free solo rock climbing. See how it looks and get a bit more details after the jump. Frankfurt am Main (Germany) December 15, 2015 – Feel the unrivaled adrenaline rush of free solo rock climbing and encounter the majesty of nature like never before in The Climb – a new virtual reality game from Crytek – coming exclusively to Oculus. The Climb invites thrill-seekers to experience the ultimate in extreme sports by going beyond the point of no return and scaling deadly cliff faces unaided. 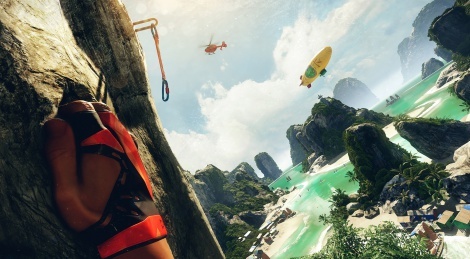 The game boasts hyper-realistic climbing locations from around the world, and players will discover the freedom of gaming with the Rift using either an Xbox One controller or Oculus Touch controllers as they soak up their awe-inspiring surroundings. To find out more about The Climb, visit the official website for the game at www.theclimbgame.com. GTX970 or AMD 290 required as minimum. Then throw in a $300+ VR headset. Are people going to take the risk that VR is really going to be a target platform for many developers? I understand we are talking about the proclaimed MASTER race but I just have a hard time seeing developers creating games exclusively ground up for VR environments with such a tiny slice or people that will have the ability to run it. Im starting to be really interested in the VR. This looks like a great fun! If its going to be a success then pc is where its at.. that footage looked stunning and im a massive vr sceptic.. console vr will be a fad this gen because of underpowered machines but fair play to anyone with a decent pc set-up thats able to fully experience it. Where does it say that hardware will be the minimum? Anyone who has those specs , which there are a good few, I don't think will find it an issue anyway to spend money on a VR headset. You've also got new generation cards coming, and games developed with DX12 specifically which will help VR a lot. In 5 years, hardware and software won't be much of an issue to the platform. Personally can't wait. Already have a GTX980Ti. Plus it won't just be the master race, PS4 is getting VR too. VR, Steering wheel and Project cars/ Assetto Corsa. take my money Oculus. Sub £400 or even close will do me. Ultra widescreen can wait. I know PC Master Race owners don't ever want to hear it, but PC is NOT mass-market. If VR is ever going to take off, it needs to be affordable, standardized, have a simple interface and be priced for the masses. Things need to speak to the lowest-common-denominator to be successfully mass-market. This has been proven time and time again. But that's okay... this is the "early" phases, still. This is when 2-head VCR's used to cost $1k and up. Eventually, it'll get out of niche. Hopefully. Of course pc is a mass market, almost everyone owns a pc. People who own a pc with the hardware to run high end graphics VR-games are probably not a large share of that market though. Another exclusive to oculus rift? What's happened to Vive? I thought there was a huge 3rd party interest in the Vive? Is it because of the release delay? Or the full-room sensors? Because Oculus Rift doesn't need a medium square-sized to play in? May not be mass market, but are more likely to invest in new tech. BTW I also own Xbox one, 360, ps3, Wii U, wii. PS2, dreamcast. Several android tablets. So this isn't coming from a master race ranter. Climbing walls and cliffs? I could not think of a more boring game. VR will go beyond just the conventions of typical game design. Sure, you'll get proper 'games', but then you'll also get experiences. This looks more like one of those experiences. A bit like playing a flight sim and just cruising around taking in the scenery. Those Rayman-like hands are weird but the game would probably look cool in VR. Definitely wouldn't play it any other way (too boring). Not sure why you dragged the whole console vs PC here, but I'm sure you're ignorant about the performance specs of console VR. Doesn't matter anyway, VR is much like Kinect; it's all gimmicky and not many devs are going to support it for a while. I hold little hope in VR going mainstream among the big developers sans few Facebook sponsored projects. Indie devs and enthusiasts is where it will truly be at. VR is much like Kinect; it's all gimmicky and not many devs are going to support it for a while. And you know it's gimmicky because? You've tried it? Most that have say it's anything but a gimmick, and it's interesting you mention Kinect as if it was some kind of technological failure. Sure, it flopped as far as it's initial purpose goes; but there are developers out there that have taken that technology and expanded it onto other areas and ideas, ideas of which wouldn't have been possible without it. It was always one of those things that needed to be paired with another piece of technology for it to be truly useful. Same way touch screen technology only really became useful once it was paired with LCD mobile phones, and look what that's leading to: viable VR that actually works and isn't a 90's pipe dream anymore. It all goes full circle in one way or another. The tracking technology inside Kinect will be used by devs in the future for future VR projects, that's for sure. And yet we have games like ArmA and Day Z that do exceptionally well despite not only requiring similar levels of investment in hardware (especially if we include hundred dollar tracking systems or several hundred dollar flight rigs). Also, a 970 is pretty damn achievable. It's only $300. If you can afford an Xbox you can afford a 970. That's because you're thinking of this being a typical static 2D screen rendered game. VR changes things, makes experiences that would normally not be able to capture your attention grown into experiences you are unlikely to forget. Oculus has been working with Devs for years now, Vive dev kits went out relatively recently. Games take more time than the Vive has given devs so I am not at all surprised by this. Occulus has said that in order to achieve the resolutions and framerates required for VR gaming on their headset you will need at least a 970. Keep in mind you have to run at higher than 1080p resolution, in 3D, at higher than average framerates (90 now, eventually 120). In order to do that without the games looking like n64 games, you pretty much need to be at the upper end of the middle of the spectrum with something like a 970. This looks pretty cool and makes me think of FarCry. BUT, the floaty Rayman hands take away the immersion FOR ME. Probably will be different with a huge VR device on my head though. I seriously hate, when someone is trying to be funny or I don't know and keep saying "PC master race". Like....WTF is that? Long story short - something used ironically which was picked up by retards taking it at face value. One word: BORING ! If that's the type of games we can expect with VR it will bomb just like Kinect. 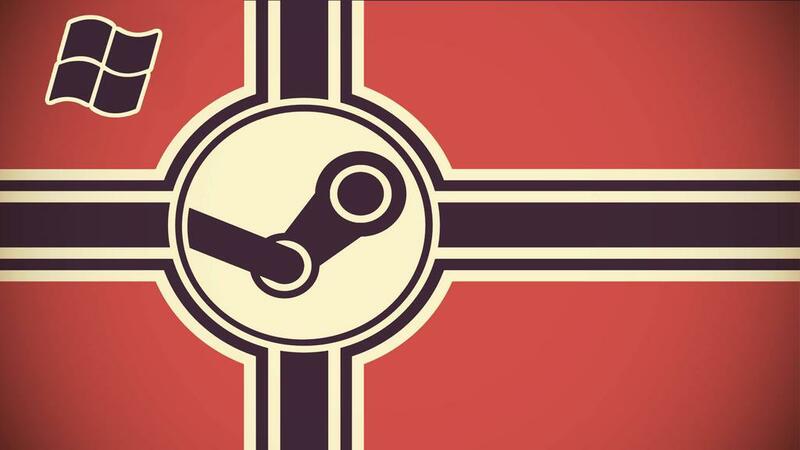 http://i.imgur.com/GvawBJq.jpg HEIL PC MASTER RACE ! Yeah but that is a single part of a multi part machine. If you can afford 800-1400 dollars for tires on a vehicle can you afford the 5000-6000 for a used one? I'm huge with PC gaming and i don't even use the phrase once. PC gaming does have it's benefits though. "If PC is so good, why is there no PC 2?" ............what kind of question is that? seriously, if cars and smartphones are so good why don't we have Cars 2 and Smarphones2....lol. PC = personal computer ...it's categorize by it's purpose. there doesn't need to be 2 or 3, some logic these people have.